On Christmas of 2013, I woke up with a sharp pain deep inside my left knee cap. I was familiar with this kind of a pain by then and I knew it was HMS affecting yet another joint in my body. I couldn’t walk anymore. My life took another insane turn. I got in touch with some Doctors and Specialists from the UK who have been carrying out a research on HMS/EDS Type 3 for a while now. The main thing I got from them was that there was still no cure. I was told to make lifestyle changes that work for my body, continue with pain management therapies and keep doing my best. X-rays and MRI of my left knee showed signs of Arthritis (along with painful cysts and inflammation). My left knee joint was degenerating at the age of 24. My kneecap was so unstable that the Knee Specialist said one could just “pop” it out of place easily. He suggested that I try Hyaluronate injection (http://www.medicinenet.com/hyaluronate-injection/article.htm) for my knee joint but he clearly told me that considering I have HMS, and the fact that even other pain management procedures hadn’t really worked on me, there was a possibility that this wouldn’t either. I gave it a shot anyway because there was nothing to lose – if it worked, I’d be able to walk. It didn’t work. This time round, I didn’t feel all that bad. I think I was beginning to come to terms with reality. I was starting to understand HMS/EDS better. 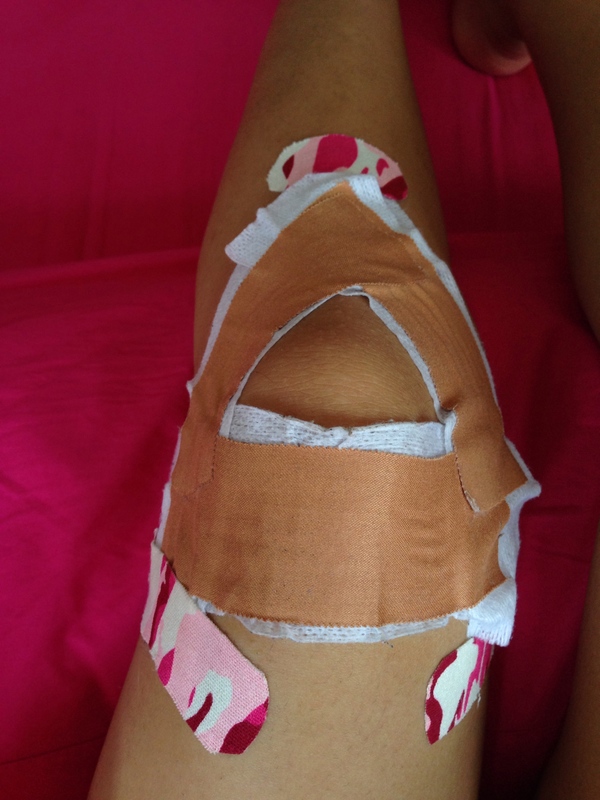 Since that day on, I’ve needed a knee guard and rock tape as extra support. 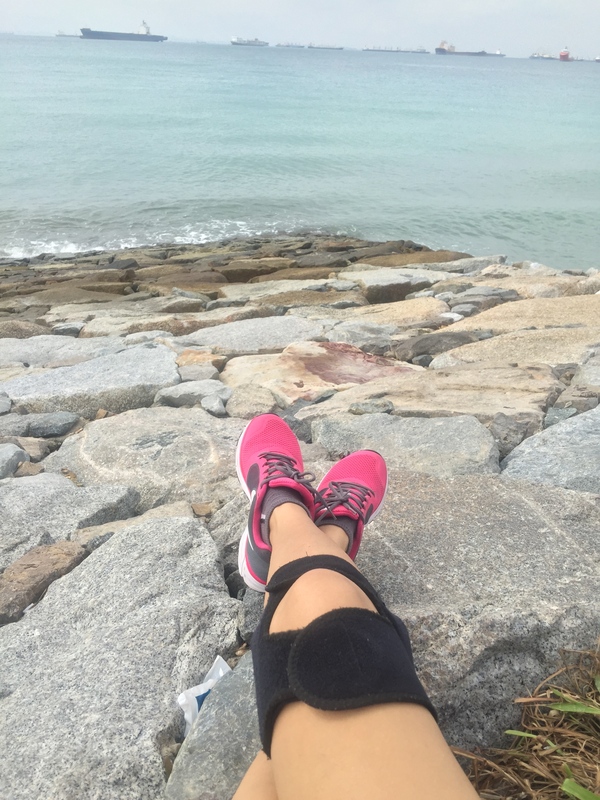 A few months later, around March 2014, my right knee was affected. I was sent in for another round of X-rays and MRI only to discover that it was due to HMS again. No physical trauma, no accident. I was able to handle things a bit better. 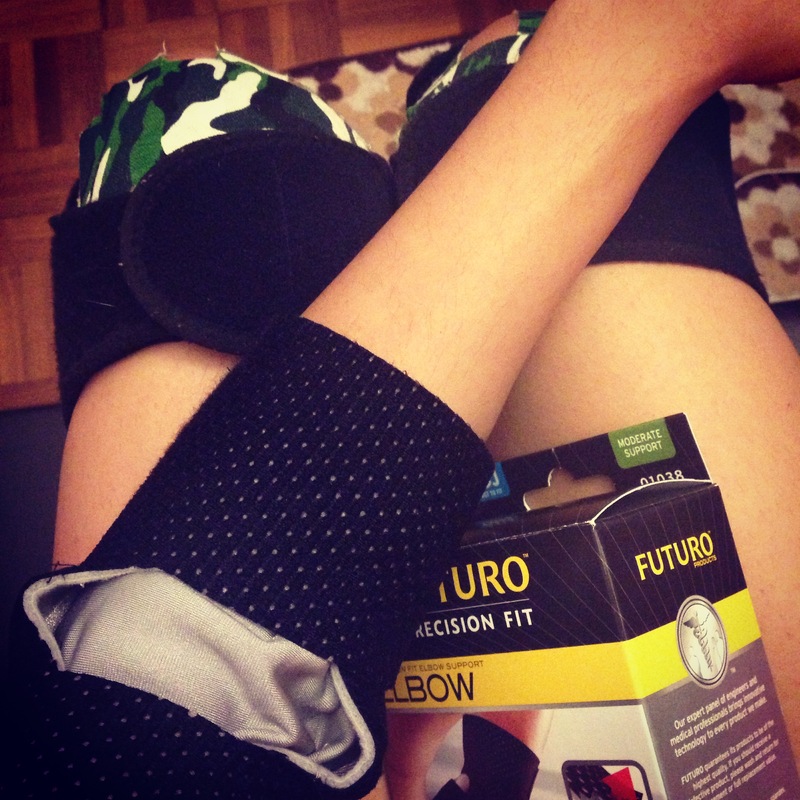 In June 2014, my left elbow got affected. Once again, without any physical trauma or accident (for the eight time). I was sent for X-rays again. I have always needed to see my Specialists and go for a round of scans and tests, but it’s not as if I ever came home with any kind of new information or advice. It’s been the same thing – whatever happened to my joints, happened because of HMS/EDS. Not because I overused them, or worked out a lot, or danced too much, or got into an accident,or didn’t eat enough, or didn’t rest enough or pretty much anything else most people like to think. I am more accepting of my body’s tendencies. I don’t remember the last time I didn’t feel pain, but I am learning to suffer less. I’m learning to make adjustments in my life so that my body gets what it needs. I am more accepting of the fact that there is no cure at the moment, but I am still hopeful about the future. Accepting my condition seems to be helping me more than trying to fight with my body too much. I don’t mean to say that I give up and let life take over me – there is a difference between acceptance and defeat. I might want to write about it sometime. It’s been a journey full of trail and error, disturbing emotions and thoughts and seriously debilitating pain. Over the past five years or so, I have spent so much time and effort just running around, figuring out solutions, finding alternatives, speaking to gazillion Healthcare Professionals, getting mad at my body and trying to hold my life together. It was all required at that time. These days I try to listen to my body first. Listening to my body means making considerable changes to my lifestyle. And that also means slowly letting go of some things which don’t work for me anymore. It’s frightening at times, but it’s okay because at the end of the day…it’s all for my health. I’m getting a hang of it. Since HMS is a multi-systemic disorder, I have to manage other symptoms of HMS as well. It can get tiring having to think about so many factors at once. I’ve also learned to trust only myself about my body and no one else. Somewhere deep inside, I always knew I needed to keep pushing through…. to keep looking… because things happening to me just didn’t feel normal… and to keep persevering through all the misdiagnosis and judgement… that’s how I finally got some answers. helping me manage my condition and pain. It took me a very long time to finally find a group of people who understand my condition, are patient and supportive and who trust me. I call them my little “Support Team”. I think it’s necessary to find Healthcare Professionals who believe you when you say that you’re in a lot of pain or can’t deal with something. It makes no sense to be working with a set of people who think you could be imagining pain. Also, no matter what anyone thinks, it’s especially important to believe in yourself when it comes to the pain you’re going through and how it affects you – just because someone thinks that you are giving up easily doesn’t quite mean that you are. I’ve never given up too easily and it’s enough that I know so. I feel weak at times (it’s only natural) but I stand right up again (very slowly sometimes!) and face what I need to. Knowing this, I t ry not to take it personally if someone makes baseless comments about my personality or attitude because of the pain I’m going through. It can hurt for sure, but I also realize that I don’t have it in me to explain myself and my story to everyone. Besides, I don’t believe that everyone needs to relate to it or understand it. You need a small set of people who trust that you know the best for your body – that’s all. For now, I work with my body and try not to push it beyond its limit. I still don’t know where exactly this is heading. I don’t have answers for tomorrow. I understand that until there is no cure, until science doesn’t catch up, the only way I am going to be able to get through life is by respecting my body’s present needs. I know better now, for sure.